It turns out there is an enormous array of exemptions to the individual mandate. Have you been unable to pay a medical bill in the last two calendar years? Did you get a shut-off notice from a utility company? Did you experience substantial property damage from fire, flooding, or other natural or man-made disaster? Did you have to shell out unexpectedly on travel to go take care of your elderly mom, who got sick? Has your mortgage company moved to foreclose against you? If you can answer yes to any one of these questions in 2014 and do not have health insurance for at least nine months of that year, then you may be eligible for an exemption from the fee for remaining uninsured under the individual mandate. Many Republicans in Congress are calling on the Obama administration to delay the imposition of the individual mandate to carry health insurance under the Affordable Care Act, exempting individuals in the same way large employers are being exempted from penalties for not providing insurance for one more year while kinks in the system are worked out. And yet if you look at the fee exemptions already available to individuals, it's clear that the individual mandate system is full of loopholes for people experiencing hardships and irregularities in their lives. So full, in fact, it seems to have accounted for a broad sweep of the possible things that might actually make it hard for someone to pay the fee for staying uninsured. 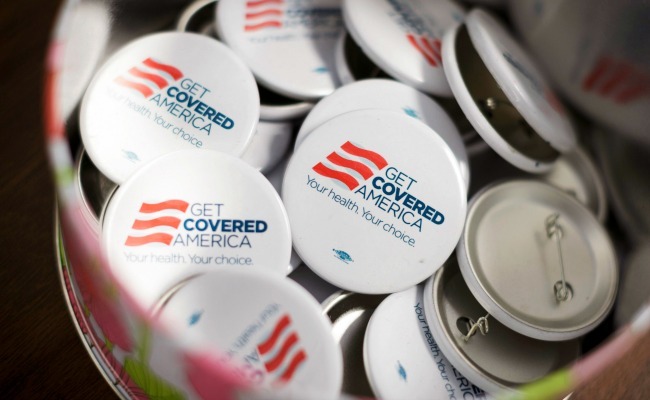 To begin with, no one will have to pay a fee for remaining uninsured until 2015, when they file their 2014 taxes. At that point the fee for skipping insurance will be fairly small — $95, or 1 percent of your income, whichever is higher. While that number could in theory climb sharply with income, it's also the case that almost everyone with a higher income will either be employed full-time and getting employer-sponsored insurance — and so won't need to pay a fee — or else will be well-to-do enough that they could buy, at a minimum, a rock-bottom catastrophic care package through the exchanges without much hardship. And if they aren't that well off, well, that's where the exchanges' subsidies and tax credits to encourage people to buy insurance come in. These will be offered as monthly discounts against insurance premiums during 2014, rather than lump-sum after the fact rebates in 2015, though some people could still get a rebate — or have to pay a fee — in 2015 if they or the system calculated an incorrect level of tax credit for whatever their income for the year winds up being. The penalty for remaining uninsured is set to climb rather precipitously by 2016 (as filed in 2017), at which point it will be $695, or 2.5 percent of income, whichever is higher. The fine-print here is kind of extraordinary. What this means, for example, is that people who had major medical expenses from being under-insured pre-Obamacare that they're not able to pay off this year or next can apply for exemption from the individual mandate fee in 2015 if they choose to remain uninsured next year — though one might image those people especially might want to seek out health insurance that gets them adequately covered. It also means that everyone who's low-income enough to qualify for the Medicaid expansion under the ACA but lives in one of the red states that's saying no to it won't have to pay a fee for staying uninsured, so long as they apply and get accepted under the federal rule but rejected by their local Medicaid administrators. The online Healthcare.gov application system is set up to approve people who are eligible under federal law, and forward their applications to local authorities to be rejected in states that have rejected the Medicaid expansion, so that the rejection comes from the local government run by Republicans, not from the feds. And strapped sandwich generation people who have to pay a lot out of pocket to take care of their elderly relatives, well, they can skip on health insurance too if they need to, without being penalized, so long as their exemption is approved. That's kind of a big deal, if you suddenly have to spend thousands on taking care of an elderly relative and need to skimp somewhere on yourself. All of these exemptions, of course, depend on authorities accepting the applications. But if they're anything like the hardship deferment options built into federal student loan programs, they could be a godsend for people who are facing tough times and can't plug into the new exchanges for a variety of reasons.